Seating for 6/7, the shell is Soft Touch Slip Resistant Fortiflex™ HDPE and the cabinet is zero maintenance Vikashield™. 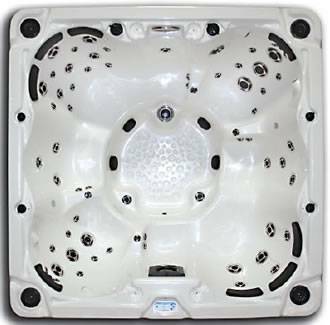 The spa has 71 stainless steel jets with storm jet technology, LED perimeter lighting, waterfall feature, 2 Waterways pumps and optional Jensen Bluetooth MP3 Stereo System. 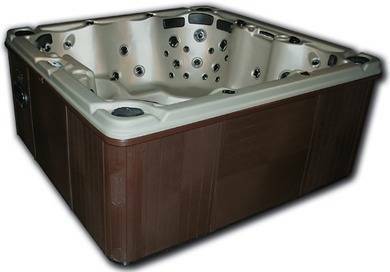 The Tradition is a luxurious new spa and features the latest in hot tub comfort and unique patented features, with all that a discriminating spa buyer would want in their “dream” tub! 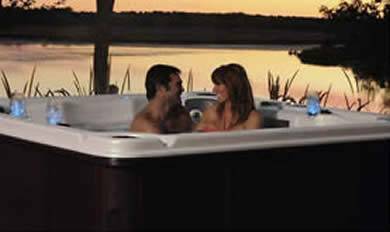 Relax and enjoy its exclusive indirect spa lighting, lighted cup holders or the enjoyable sound of your favorite music emanating from the optional top-of-the line stereo system. 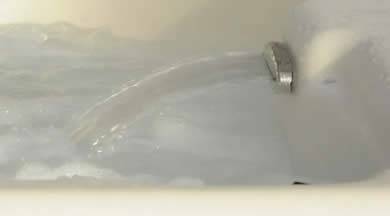 The Tradition is the most spacious spa in the Destiny River Spas range holding a massive 1900 litres of water. All for a price that leaves the competition shaking their heads.